Home Western Africa Sierra Leone Sierra Leone Excellence Awards hold 30 Nov.
Sierra Leone Excellence Awards hold 30 Nov. 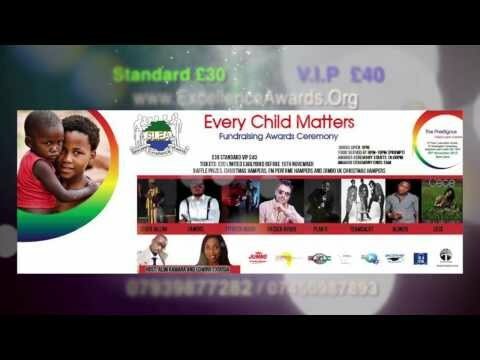 The 5th Sierra Leone Excellence Awards (SLEA) holds on Saturday 30 November 2013 between 8pm and 2am at V360 Banqueting Suite, Lancaster House, 70 Newington Causeway Elephant and Castle; London SE1 6DF. This year's event will focus on individuals living in London and will be hosted by BEFFTA Award winner - Alim Kamara and Motivational Speaker - Edwina Momoah. According to the Founder of the SLEA - Ms. Aminata Sesay-Conteh, "Many Sierra Leoneans in the UK have collectively engaged in a major reconstruction effort to see the country back to its former glory. These awards are in recognition of those who have fought ceaselessly to attain the new level of reconstruction and rehabilitation both at Home and in the Local Community in the Diaspora. The awards are diverse with different categories of winners emerging from various industries." She also added that, "We've introduced new categories this year - such as Best UK Movie Premiere, Best Community Social event and many more." Performances are expected from Famous (kopo don) and Nasser Ayoub (tranga yase borbor) from Sierra Leone. Other performers include: London's top RnB musician - Alonzo performing his hit songs on the night, Team Salut, FTFreshmusic, Cece, Plan X, Usifu Jalloh and Comedian H.E Tommy Massaquoi. Sponsors of the event include Jumbo UK . Special Guests include, Sierra Leone High Commissioner to the UK, Ghana High Commissioner, Gambia High Commissioner, Kei Kamara, Ellen Thomas and many more. Tickets which start from £20 per head are available from Eventbrite, the website or telephone: 07450987893 / 07939877282.